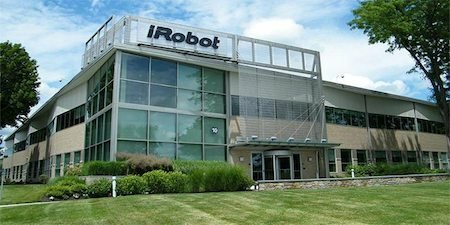 IRBT (iRobot Corporation) designs, builds, and sells robots for the consumer market worldwide. Most shareholders do not vote because reading through 70+ pages of the proxy is not worth the time for the small difference your vote will make. Below, I tell you how I am voting and why. If you have read these posts related to my portfolio for the last 22 years, have values aligned with mine, and trust my judgment (or you don’t want to take the time to read it), go immediately to see how I voted my ballot. Voting will take you only a minute or two and every vote counts. The annual meeting is coming up on May 23, 2018. I voted with the Board’s recommendations 75% of the time. View Proxy Statement via SEC’s EDGAR system (look for DEF 14A). Read Warnings below. What follows are my recommendations on how to vote the proxy in order to enhance corporate governance and long-term value. From the Yahoo Finance profile: IRBT Corporation’s ISS Governance QualityScore as of May 1, 2018 is 2. The pillar scores are Audit: 1; Board: 2; Shareholder Rights: 3; Compensation: 4. Corporate governance scores courtesy of Institutional Shareholder Services (ISS). Scores indicate decile rank relative to index or region. A decile score of 1 indicates lower governance risk, while a 10 indicates higher governance risk. Therefore, we need to pay closer attention to Shareholder Rights and Compensation. Egan-Jones Proxy Services recommends “For,” all board nominees. Since I voted AGAINST on the say-on-pay, I would have voted against the compensation if they were up for reelection. I have no reason to believe the auditor has rendered an inaccurate opinion, is engaged in poor accounting practices, or has a conflict of interest. However, Egan-Jones notes that PricewaterhouseCoopers, LLP has been serving as the Company’s auditor for more than seven years, so their independence is compromised. They recommend AGAINST. I voted FOR. Over the last several years, we have submitted various proposal to enhance shareholder rights. Unfortunately, these changes cannot be made without a vote of 75% FOR because of existing bylaw provisions. However, it is worse than that. The existing threshold is not 75% of shares voted but 75% of shares entitled to vote. Passage will take a major solicitation effort by iRobot. I have doubts they will make that effort. Egan-Jones recommends in favor of all. It is hard to imagine any shareholder voting against. Unfortunately, it is easy to imagine shareholders not voting. Retail ownership is small. However, ownership by foreign institutions is not unsubstantial. Many are not under the same fiduciary rules to vote as are North American funds. That is where effort is required. E-J recommends for, since (in part) dilution would be about 6.3% and their threshold is about 9.7%. and most institutional investors disclosing their votes voted FOR, Since I believe pay is already too high, I voted AGAINST. IRBT’s Summary Compensation Table shows the highest paid named executive officer (NEO) was Chairman, CEO, and Director Colin M. Angle at $6.0M. I’m using Yahoo! Finance to determine market cap ($1.7B) and I am roughly defining large-cap as $10B, mid-cap as $2-10B, and small-cap as less than $2B. IRBT is a small-cap company. According to the Equilar Top 25 Executive Compensation Survey 2015, the median CEO compensation at small-cap corporations was $3M in 2014, so pay was over that amount. IRBT shares outperformed the Nasdaq over the most recent two year time period, but underperformed during the most recent one and five year time periods. It does not appears on As You Sow‘s list of the 100 Most Overpaid CEOs. Prior reports have shown that being on that list is correlated with lower returns in subsequent years. However, I believe As You Sow is primarily focused on large-cap companies. The Company determined the CEO to median employee pay ratio was 44:1. Egan-Jones Proxy Services takes various measures to arrive at a proprietary rating compensation score, which measures wealth creation in comparison to other widely held issuers. “Good” is their rating given on compensation issues for IRBR. They recommend ‘For’ the say-on-pay item. Given above median pay, underperformance, and my concern with growing wealth inequality, I voted “AGAINST” the say-on-pay item and I would have voted against the compensation if they were up for reelection. Declassify Board of Directors: FOR. Provide Shareholder Right to Call Special Meeting: FOR. Supermajority vote requirement (75%) to amend certain charter and all bylaw provisions. Proposals of stockholders intended for inclusion in the proxy statement to be furnished to all stockholders entitled to vote at our 2019 annual meeting of stockholders, pursuant to Rule 14a-8 promulgated under the Exchange Act by the Securities and Exchange Commission, must be received at the Company’s principal executive offices not later than December 11, 2018. Be sure to vote each item on the proxy. Any items left blank are voted in favor of management’s recommendations. (See Broken Windows & Proxy Vote Rigging – Both Invite More Serious Crime). I generally vote against pay packages where NEOs were paid above median in the previous year but make exceptions if warranted. According to Bebchuk, Lucian A. and Grinstein, Yaniv (The Growth of Executive Pay), aggregate compensation by public companies to NEOs increased from 5 percent of earnings in 1993-1995 to about 10 percent in 2001-2003. Few firms admit to having average executives. They generally set compensation at above average for their “peer group,” which is often chosen aspirationally. While the “Lake Woebegone effect” may be nice in fictional towns, “where all the children are above average,” it doesn’t work well for society to have all CEOs considered above average, with their collective pay spiraling out of control. We need to slow the pace of money going to the 1% if our economy is not to become third world. The rationale for peer group benchmarking is a mythological market for CEOs. For more on the subject, see CEO Pay Machine Destroying America.